Victoria Beckham is making waves with a new haircut. The 34-year-old former Spice Girl and mother of three debuted her short, spiky hairdo at the Marc Jacobs Show in New York City during Fashion Week, stealing the spotlight from Jennifer Lopez who was sitting next to her. 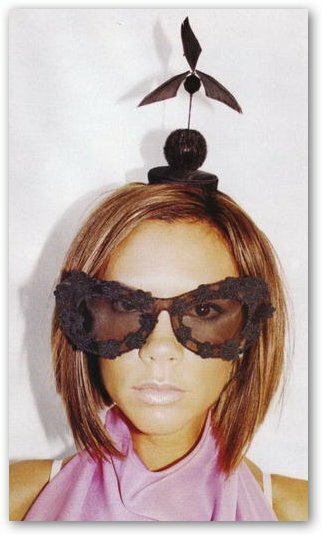 After marrying soccer star David Beckham, Victoria Beckham mainly appeared in the fashion world, designing a line of jeans with Rock & Republic as well as a line of sunglasses dubbed dvb Eyewear. Last year, she caused a stir by appearing in a photo shoot wearing odd headgear and posing inside a giant Marc Jacobs bag. Although her main interest is in fashion nowadays, Victoria Beckham, the former Posh Spice, reunited with the other Spice Girls for a comeback tour that visited five countries and brought each girl a $20 million payday.